LITTLE INDIA: Diwali, the Hindu festival of lights, is accompanied by the exchange of sweets and the explosion of fireworks. This year Eid, the Muslim festival marking the end of Ramadan, and Diwali, coincide. 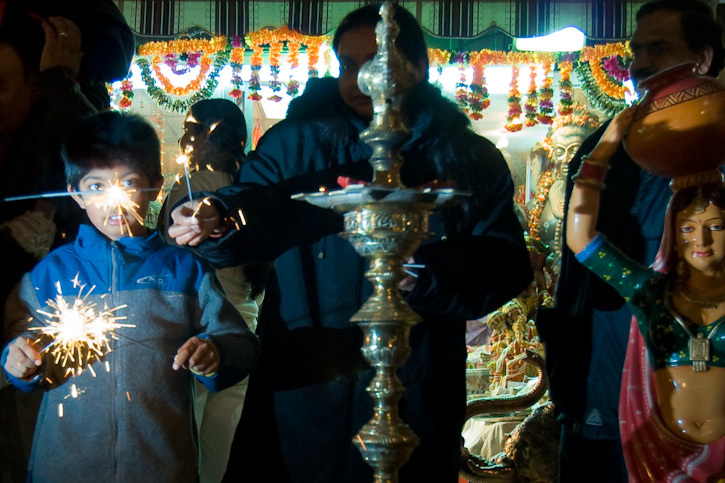 A crowd of people, including Shamanth Chedde (left) and his family, gather in the Gerrard India Bazaar on the evening of October 21 to celebrate. Photo by Robert McKenna.